The Philip Kingsley Trichological Clinics in London and New York provide expert advice and treatment for all types of hair loss and hair and scalp issues. Our clients are extremely important to us and we are dedicated to providing a thorough, comprehensive and individualised treatment plan for each patient we see. I’m noticing a big difference! 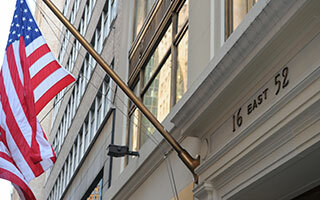 "The first feeling I felt when I came to Phillip Kingsley was safe. I'd been a little sceptical that anything could be done to make my hair situation any better as well as daunted by the whole process. But Lisa was so down to earth and honest and clearly passionate it was a huge relief to know someone was sharing the responsibly with me. It's one year later since I came and I'm noticing a big difference and feel I have a clear understanding of how to look after myself and my hair better for a better, fuller future!" "My hair feels so much thicker and stronger and my confidence is back to normal. Glenn has simply changed my life. About 8 years ago I noticed that my hair was starting to get thinner (I was 37 years old). This was a real concern for me as my hair is a very important part of my life and losing it would be a real confidence issue for me. My wife recommended to me to go and see Glenn as she works as an editor in the hair industry and said he was the best in the field of trichology and if anyone could help me, it was Glenn. I booked an appointment to see him and instantly he put me at ease and made me feel very comfortable. He told me that even though my hair was starting to get thinner the prognosis was very good as he could prescribe me some scalp drops that would drastically slow down the process. He prescribes me the 5M scalp drops and I started to use them straight away and I must say the results have been incredible. I have been using the drops for 6 years now and my hair feels so much thicker and stronger and my confidence is back to normal. Glenn has simply changed my life and I cannot thank him enough. The 5M Drops are a miracle in a bottle and I would recommend to anyone who has any kind of issue with their hair to go and see Glenn at the clinic. He is the kindest and most professional man I have ever met. Through his work the Philip Kingsley clinic he has helped so many people who have issues with losing their hair. Thank you so much Glenn." "Glenn has a tangible interest and extensive knowledge of how each stage of a woman’s reproductive life affects her hair. I first met Glenn nearly 20 years ago on a professional basis when he expressed an interest in hearing first hand from patients about the effects of menopause and HRT on their hair. As I found my own hair changing over time, Glenn was the obvious person from whom to seek advice. He cares about his clients and always goes that ‘extra mile’. The PK products are fantastic and really make a difference." "There is no one I trust more than Glenn when it comes to hair health. He has not only helped me, but also countless people I referred to him. Apart from his incredible knowledge and passion, his calm and reassuring approach makes him the number 1 for everyone who has sought out his guidance. He truly is the ultimate hair saviour." My scalp has always been problematic...after just one session it was clear. Miraculous. "I am evangelical about Glenn and the team at Philip Kingsley. My scalp has always been problematic – itchy and irritated. Even Glenn described it as 'one of the worst he'd seen'. (I was rather proud of that!) After just one session, it was clear. Miraculous. Four weeks on, it's still transformed. The combination of weekly treatments and the at-home products has been absolutely life-changing. I cannot thank Glenn enough. The man deserves a knighthood for services to stressed women!" "After years of worrying about my thinning hair and several unhappy experiences, I went to Philip Kingsley and met Jane Martins. Jane is professional and thorough, and - just as important - understanding and patient. The results have been better than I could have hoped for, my hair is thicker and longer than it's been since I was a child. My only wish is that I had made an appointment years before." "I first saw Natalie in 2010 having experienced significant hair loss. I was extremely distressed about this. Natalie was reassuring, empathetic and compassionate, giving me genuine hope that my condition could be improved. I vividly remember her saying "I promise we will make this better"; and she did. I have continued to see Natalie over the past three years. She is consistently professional and it is always a pleasure to see her. Natalie is extremely well-informed and conscientious in her approach to clinical practice, taking time to advise me as to the latest developments both at PK and in the trichology field more widely. I have previously worked as GP during which time I referred two of my NHS patients to see Natalie, and have subsequently recommended her to a work colleague as well as clients of my hairdresser. Natalie is a credit to PK and exemplifies the professionalism that one would expect in private practice. I would recommend her without reservation." "I was diagnosed with a scalp condition which culminated in substantial hair loss. My hairdresser recommended that I go to the Philip Kingsley Clinic. Thank goodness for Philip Kingsley. I have been attending regularly and apart from my treatments I have done exactly as I was advised by them. They have turned my life around, my hair is growing back and I am so very happy. The team are amazing and I cannot thank them enough for what they have done for me. It is very stressful and upsetting to start losing one`s hair and I can honestly say that from the moment I stepped into their clinic the stress started to lift and I have never looked back. Thank you Philip Kingsley." "My scalp was very dry and crusty and my hair was limp and frizzy. I desperately needed help which was not available on the NHS. Philip Kingsley's clinic has changed my life. Since my first consultation with Natalie Carr (Consultant Trichologist) the treatment she has prescribed and carried out has improved my scalp and hair considerably. It now has shine and body which was sadly lacking before. Natalie and the team have given me a new lease of life for which I cannot thank them enough." you wouldn't believe how much my hair has changed! "I remember the terror I experienced when my hair started falling out but Glenn gave me faith and now you wouldn't believe how much my hair has changed! My hair loss left me in a state of no hope until I met one of the worlds most respected trichologists; Glenn Lyons. I was reassured that the obscene amount of hair loss I was experiencing would re-grow and the knowledge and detail Glenn provided turned that dream into a reality." Not only has my hair loss ceased, my hair growth resumed and has greatly improved over the years. "I was quite desperate several years ago when I started shedding more than usual amounts of hair after shampooing and brushing. I also noticed that my hair growth seemed to be slowing down, with an alarming increase in the width of my parting. Verging on panic, I investigated a variety of remedies and professionals, but thank goodness I opted for The Philip Kinglsey Trichological Clinic. I ended up in the very capable and professional care of Glenn Lyons who not only diagnosed my problem, but ensured that I had a thorough check up and analysis of iron, oestrogen, androgens levels, amongst others, as well as advising me on general health and hair care. Glenn prescribed drops, specifically developed at the Clinic, to counter the effects of my hair loss and improve its growth, both of which they have done with astonishing results. Not only has my hair loss ceased, my hair growth resumed and has greatly improved over the years. Philip Kingsley Trichological Clinic and Glenn Lyons are pioneers in the understanding of hair loss and effective treatment. Most impressive is Glenn’s continuing research in hair loss and its causes. His professionalism and knowledge are first rate and incomparable. There may be many who claim to be experts in this field, but Glenn and the Kingsley Clinic are the only ones deserving of this title." "I have a lifetime of thinning hair, and only when I reached menopause did I realise the cause of this. My now thin hair began to shed in a way that distressed and panicked me so I hot footed it to Philip Kingsley and saw Natalie who diagnosed the issue. 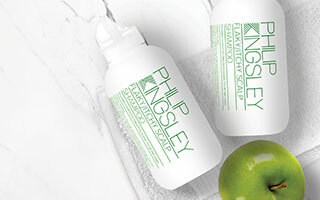 I have been working with Natalie at Philip Kingsley for a few years now, initially to halt the shedding, then to begin restoring my natural hair thickness. 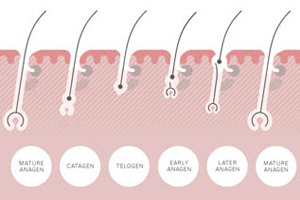 After my first consultation I felt calmed and reassured, she was so lovely: kind and caring and extremely well informed about what was causing my hair thinning and shedding, which was a huge relief. I went away with drops that suited my medical history and the shedding stopped immediately, which felt miraculous! When I was in South Africa for 6 months I dropped a new bottle of drops and broke it. Panic again! Philip Kingsley were amazing, a new bottle was in South Africa within 10 days, and everyone I emailed about it was so kind that I felt reassured. Recently I over used a styling product and had an allergic response causing me to have a very itchy scalp and hair shedding. Natalie has seen me for 10 minutes or so every month while this was ongoing,with no charge, to assess where the return to healthy scalp has got to and to recommend healing products, which have solved the problem. This reminds me of how I experience the strong ethics of Philip Kingsley. Of course its a business, but the length to which staff go to to be completely up to date and both learn from and influence treatments and products seems to me to be amazing, there is a strong thread of deep care throughout the business. Having a treatment is a lovely experience where I feel nurtured as well as helped." "My first visit to the Philip Kingsley Clinic was back in July 1998 and my appointment was with Carole Michaelides who was then based in Harrods. This followed a period of time when I had a lot of problems with my scalp and thinning hair and was eventually told by a Dermatologist in Nuneaton that it was probably an allergy, so I asked whether the hair would re-grow and his response was "what did I expect at my age" (I was 58). I was very upset at his whole attitude towards the hair loss problem and made the decision to find out for myself. I contacted the Institute of Trichologists in London who forwarded a list to me and though there were some based nearer to me it was the offer of an appointment with Carole within a couple of days that clinched it for me and it was the best decision I ever made. When I saw Carole my scalp and hair itself was in a poor condition and for the first year I saw Carole every 3 months. Blood tests were taken and I was diagnosed with Androgen Related Alopecia, plus a genetic disposition towards hair loss and an excess of testosterone and it also came to light that I had the Auto Immune disease of Lichen Planus which affects the skin, mouth and scalp. I then started on the treatment of applying drops to the top of my scalp which I continue to this day and as long as I want hair on my head. The Philip Kingsley Clinic itself has worked tirelessly over the years expanding their knowledge and working closely with colleagues in their field and like the medical profession, always evolving. My personal thanks are of course to Carole who has monitored me through all these years and it is to her that I am grateful for the wonderful condition my hair and scalp are now." "After realising how out of condition my hair was, as well as becoming thin and falling out, I came to Philip Kingsley for advice. I followed the suggested adjustments to my diet, as well as strictly following the daily treatment regime to my hair and scalp, and found the results to be amazing. In exactly three months since my initial consultation Philip Kingsley has transformed my hair and I am truly delighted." For more information, our experienced team at the Philip Kingsley Clinic can help.